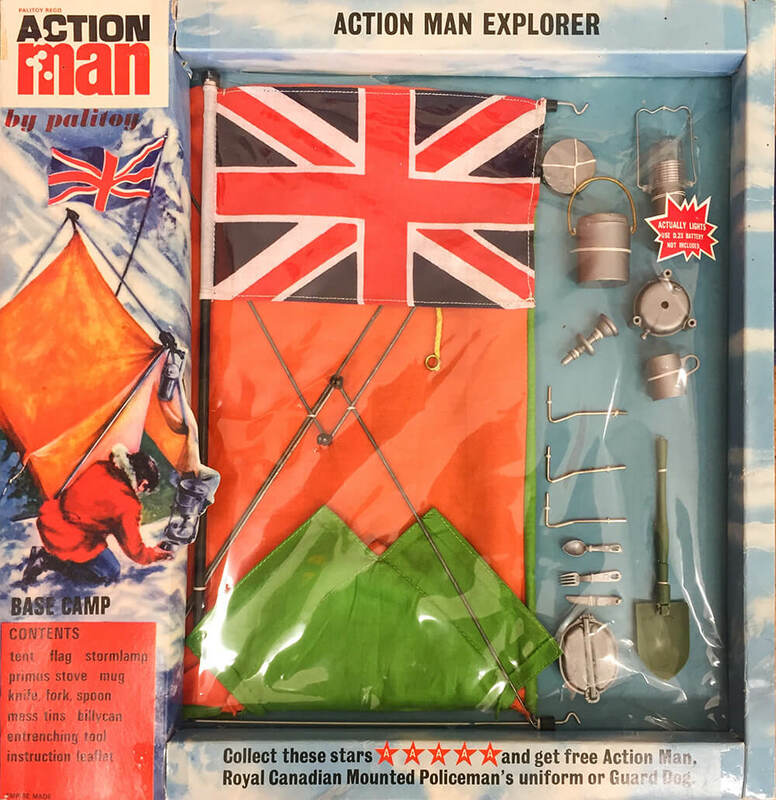 The Action Man [Explorer] Base Camp was the ideal accessory for the Action Man Polar Explorer or Action Man Mountaineer. 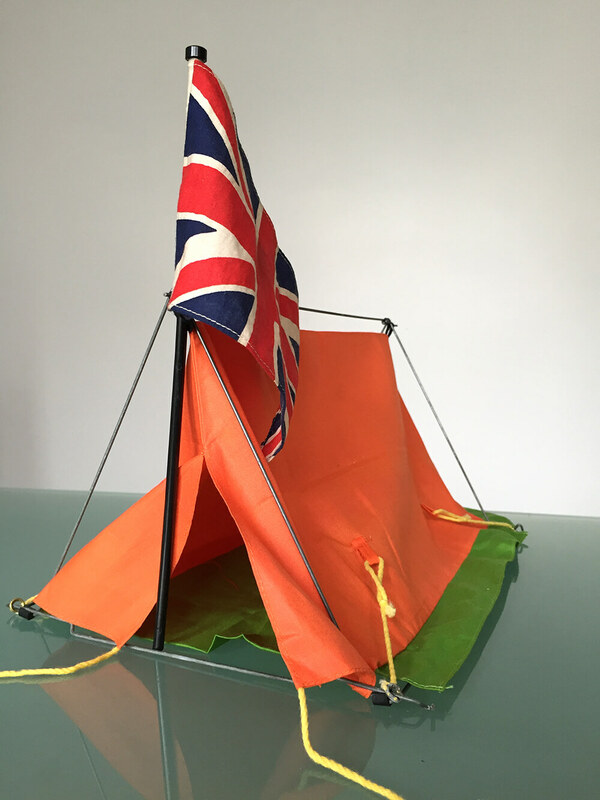 It came with accessories for surviving a harsh climate overnight, and included a battery operated storm lamp and cooking equipment. 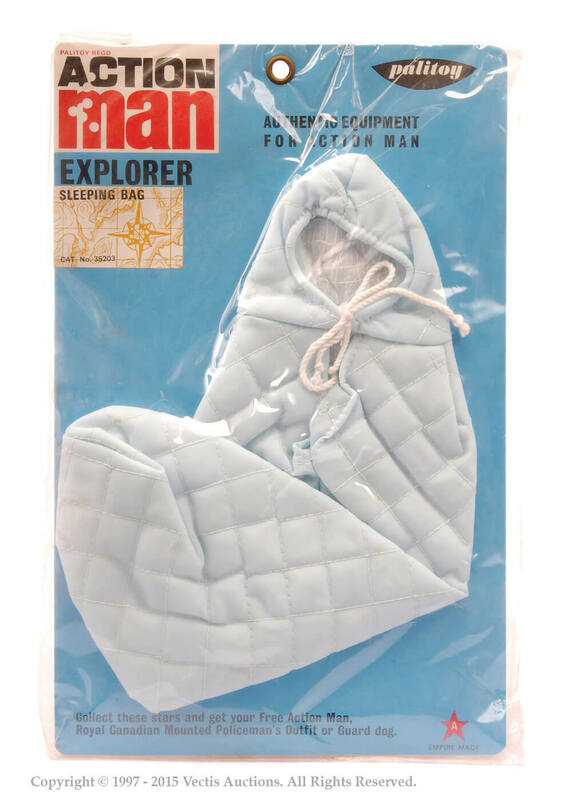 Other popular accessories to pair with this set would have been the separate light blue quilted sleeping bag and radio set. 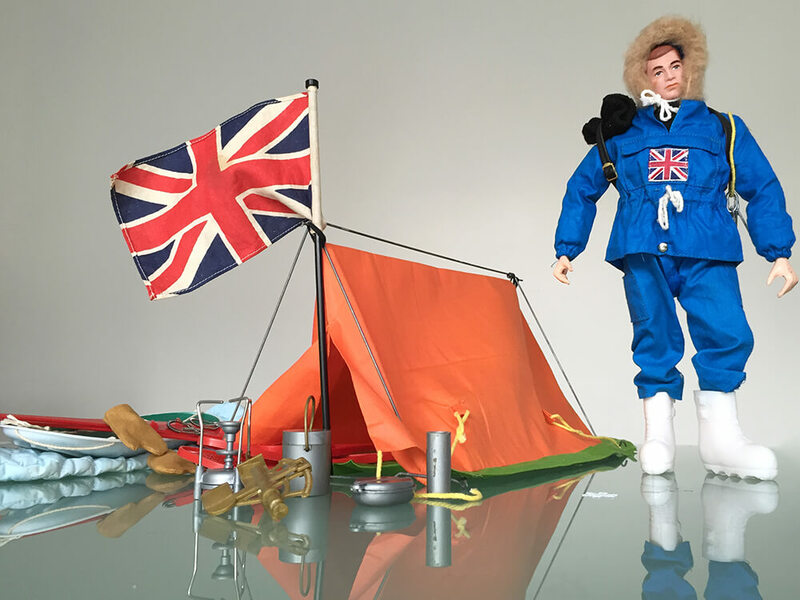 The Action Man Base Camp is a distinctive set. 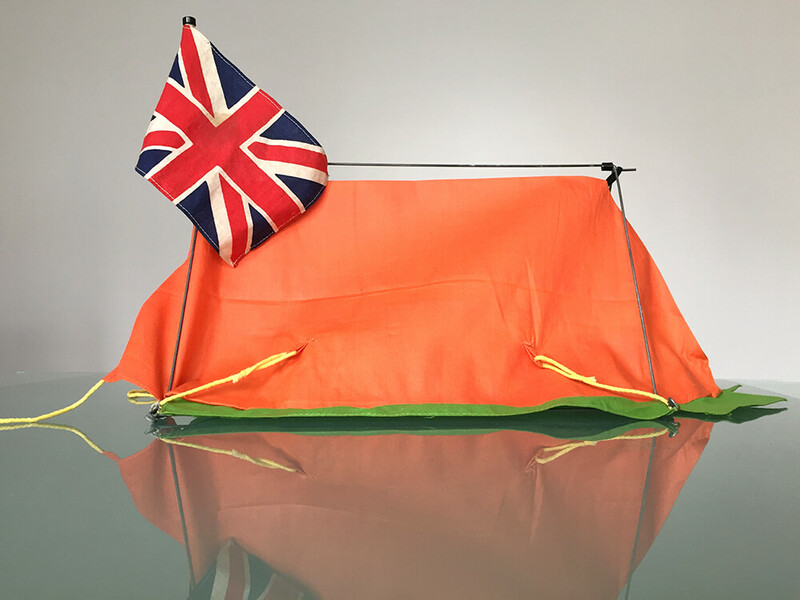 A wire frame with delicate couplings is hard to find complete, and it forms the structure from which the orange tent hangs. 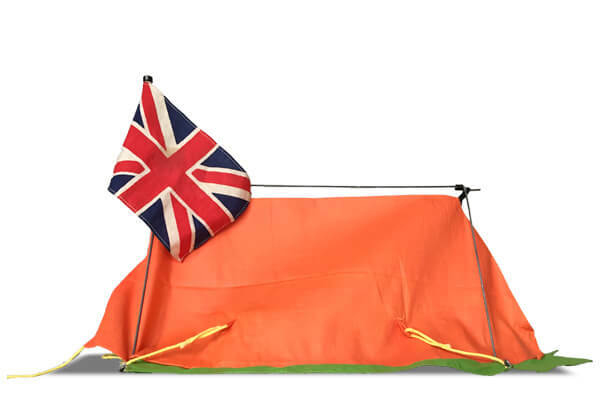 There is a separate green ground sheet. 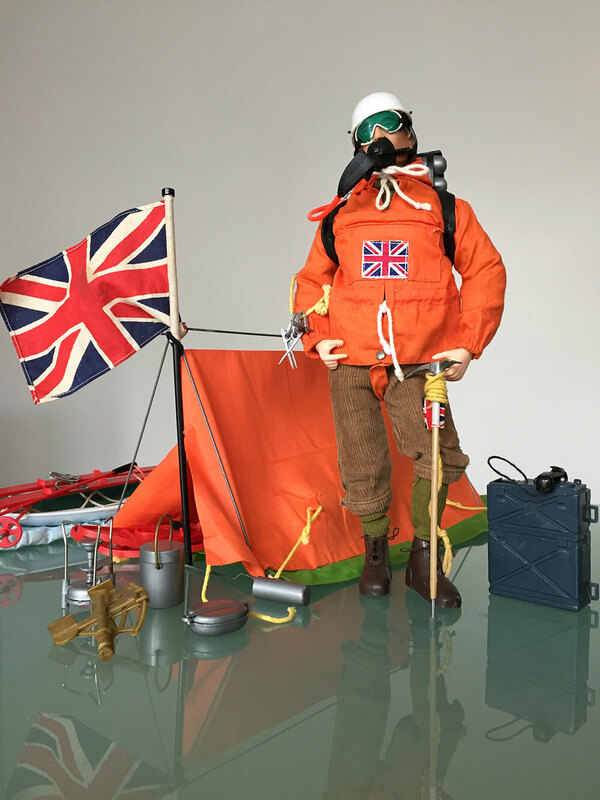 Guy ropes are yellow and connect for the most-part to the frame (unlike the Action Man Bivouac Pup Tent Set which had separate tent pegs to drive into the ground).The Primus stove would have been the early one with a circular hole in the burner surface. The entrenching tool is the type from the Action Combat Soldier sets with the screw-release shovel head. 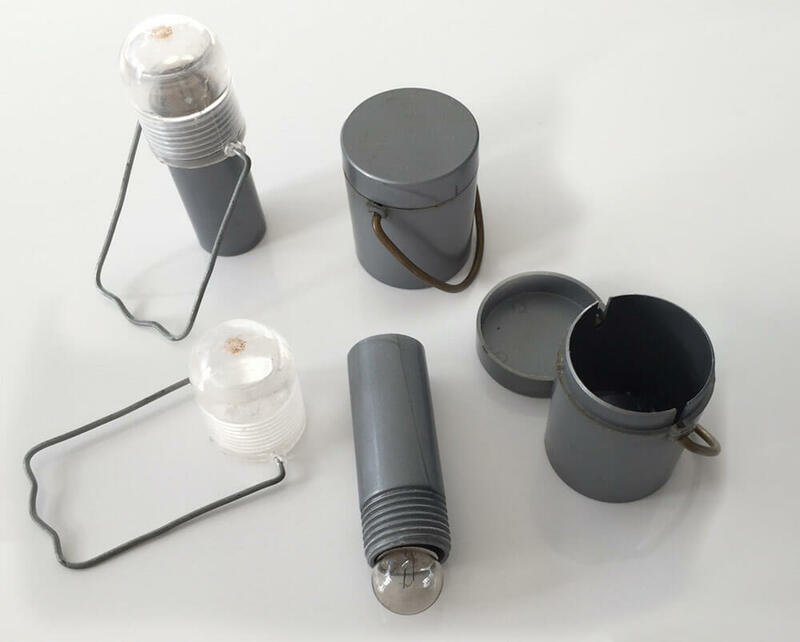 The mug, mess tin and cutlery (harder plastic type) is common, but less so the storm lamp which is possibly the rarest piece of this set.